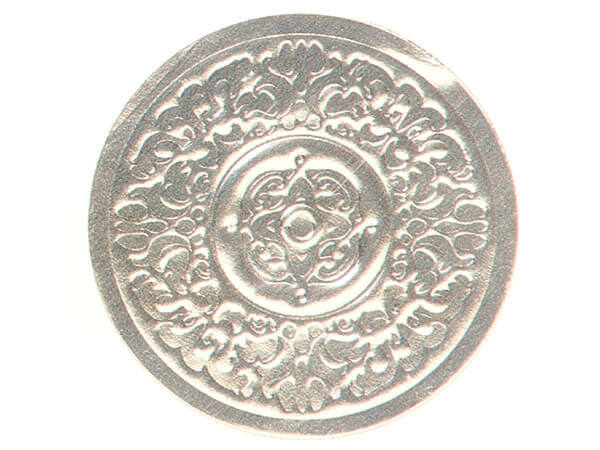 1-1/2" Diameter Silver Embossed Medallion Seals dress up any package as well as making an elegant statement on any product or gift. Perfect for weddings, Christmas & Valentine's Day gifts and cards. Made in the USA. Decorate your packages with the added touch of a deluxe foil seal or gift label. Choose from our wide selection of standard greetings and designs to stick on your package, gift box or candy box. They may also be used to close cello bags. All have self-adhesive backings on jumbo rolls for easy use. Made in the USA.